Tottenham took a huge step towards the Champions League quarter-finals as goals from Son Heung-min, Jan Vertonghen and Fernando Llorente sealed a 3-0 first-leg win over Borussia Dortmund. 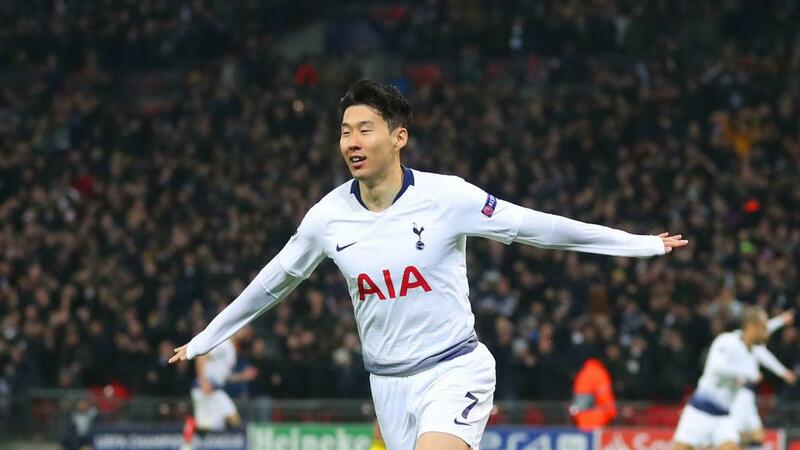 Son converted Spurs' first shot on target at Wembley as the Bundesliga leader was made to rue a string of first-half misses. Mauricio Pochettino's side struggled in the opening 45 minutes but, as has often been the case in the Champions League this season, it found the net in the second period. After Son's first European goal of the campaign, late efforts from Vertonghen and Llorente put the Premier League title contender in a strong position heading to Signal Iduna Park in three weeks. Tottenham went agonisingly close to opening the scoring in the seventh minute when Lucas Moura's volley fizzed wide of goal, the Brazilian having controlled Davinson Sanchez's header on his thigh. It would be as close as Spurs would come, though, as Christian Pulisic, Axel Witsel and Thomas Delaney all forced saves out of Hugo Lloris. The France international had to be at his acrobatic best in the closing minutes of the half as Dan-Axel Zagadou rose to meet Jadon Sancho's cross, the goalkeeper clawing the ball away at full stretch. Having weathered the storm prior to the break, Spurs opened the scoring two minutes after the restart as Son peeled away from Zagadou to volley Vertonghen's pinpoint cross past Roman Burki. Toby Alderweireld went close to doubling Tottenham's advantage from a Christian Eriksen corner moments later, but Burki was on hand to keep his header out. Mahmoud Dahoud wasted a great chance to draw Dortmund level, his meek effort easily saved, and Vertonghen showed him how it should be with a fine volley from Serge Aurier's deep cross. Substitute Llorente headed in a third in the closing minutes from Eriksen's corner to ensure Spurs take a commanding lead into the return fixture.